July 21, 2015, 2:33 p.m.
A little teamwork between NPR and some member stations is helping raise money for future public media projects. According to Current, more than $4 million has been raised in the last year by NPR working with over 40 stations in cities like San Francisco, Cleveland, Indianapolis, Boston, and New York. What, exactly, does it mean to be a member of a public radio station? Can that definition expand? What types of projects is the money helping to fund? Everything from the development and release of the NPR One app to programs like Jazz Night in America. What’s different? Rather than stations like WNYC or WBUR working at cross-purposes with the NPR mothership when identifying and approaching big donors, everyone is working together. The money is split evenly between NPR and the local station that helped find prospective funders. NPR works with stations to identify donors able to give at least $100,000, and foundations that could contribute at least $250,000. Member stations share their donor lists with NPR and suggest prospects who they have yet to approach. On average, NPR is finding from two to 10 potential large donors in each market it has studied. NPR then conducts a wealth-screening process, usually lasting about six weeks, that studies donors’ interests and how much they might be able to give. Network and station representatives discuss how best to approach the potential donor, who should lead the discussions and what the donor might find most attractive about supporting the local station and NPR nationally. 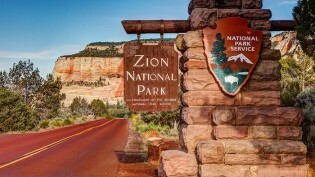 If the ask succeeds, NPR and the member station divide the gift equally, or it is shared equally amongst all parties if more than one member station is involved. This collaborative approach comes at a point when apps and digital audio have the potential to disconnect listeners from a local station. Last month, NPR reported that while livestreaming of audio fell by 6 percent in the first quarter of 2015 over the same time last year, on-demand listening is increasing. As a result, NPR and member stations are trying to find ways to maintain a sense of place, for programming and donation, in apps like NPR One and other emerging listening experiences. Ellis, Justin. 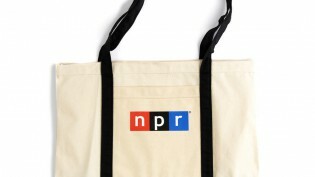 "How a collaborative approach is helping NPR and local stations raise more money." Nieman Journalism Lab. Nieman Foundation for Journalism at Harvard, 21 Jul. 2015. Web. 19 Apr. 2019. Ellis, Justin. "How a collaborative approach is helping NPR and local stations raise more money." Nieman Journalism Lab. Last modified July 21, 2015. 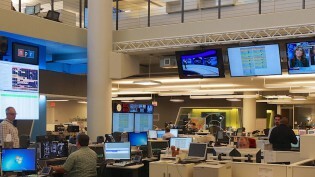 Accessed April 19, 2019. https://www.niemanlab.org/2015/07/how-a-collaborative-approach-is-helping-npr-and-local-stations-raise-more-money/.